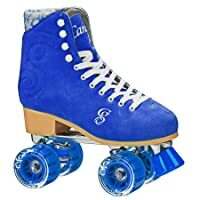 After going carrying out in-depth research coupled with customer reviews and feedbacks, we present you the top five best speed roller skates for women. 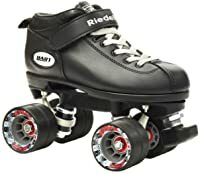 This Riedell sporting gear has unique features that make it standout among roller skates. First, it employs the solid and thus long lasting pair of wheels with a rating of 93A. Since stability is a key factor here, the Riedell skate uses Powerdyne thrust nylon plate. That will offer you the much-needed steadiness as you make the complex maneuvers. The ABEC 5 bearings further support the nylon plates, thus ensuring complete steadiness during swift movements. The wide wheels of 62mm offer high stability when navigating blistering speeds in the rink. For guaranteed comfort, the Riedell Skates have the man-made lining. When you factor in the toe grips feature, solid design to the padded design you get the skates that are ideal for the professional arena. Apart from the muddy surfaces, the roller derby wheels suit all outdoor environments. That is due to the PU cast wheels, rated 82A and measuring 66 mm x 38 mm. The race rated ball bearings provides you with a smooth cruise in the rink. For prolonged comfy feeling, suede boots have the padded design. The aluminum chassis and the double action trucks make the skate very stable. And with the reinforcement provided at the heels and toes, you couldn’t ask for more. The beauty of the skates lies in its toughness and the exterior pop-color. Although the boots might feel stiff initially, soon your feet get accustomed to it and you enjoy the perfectly lined interior. It features synthetic leather, which at first feels uncomfortable. It’s a quad speed skate that suits beginners. The wheels, measure 63mm x 35mm and suit both indoor and outdoor skating. The base plates Zytel Nylon made, fits its use due to its strength and lightweight. Stability is of paramount importance while skating. Therefore the black pacer quad speed roller is fitted with double action truck and fixed toe stops. To support smooth skating, the ball bearings feature chrome steel and are ABEC 1 quality. Since skating can go for hours, you need to feel as comfortable as possible. The 2 pair of cinch strap and the padded design guarantees you comfort. From seasoned skaters to beginners, the quad roller derby speed offers convenience in skating. Given the sturdy wheels 62mm 93A rated, and speed grooved construction, it’s designed for blistering speed and uncompromised grip. Besides, the Raydar Cayman wheels are matched with the tough, light but flexible nylon plate. Pair that with the kingpin aligned at 15 degrees and you have maximum power transfer from the boot to the wheels. The ABEC5 ball bearings are brass polished thus suitable for high-speed performance. Besides, the adjustable MIDI Gripper toe stops gives you room to skate in any style you wish. The Epic speed roller skates fit both the indoor and smooth outdoor surfaces, thanks to the polyurethane wheels. The combination of black and silver trim gives it an attractive appearance. To ensure that you feel comfortable during your workouts, Epic skates have the comfortable padded collar. Using the finest ball bearings of ABEC-5 quality and measures 8mm, these skates are designed for high speed. To match the high-speed design, there are the double action trucks and the base nylon plates. When you factor in the adjustable speed straps, you get skates that give reliable support through pout. Ideally these Epic sports gear suits both the intermediate and entry level skaters. 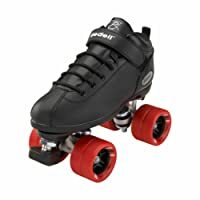 From practicing to competitive skating performances, you need comfy and stable speed roller skates. However, as a woman, you have to consider skates with the stylish design that will augment your elegant dressing. 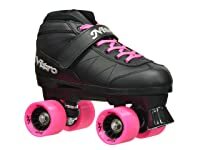 Consequently, you need the best speed roller skates for women. You will then make those complex movements with ease. Comb through the reviews and choose the skates that suit your need.